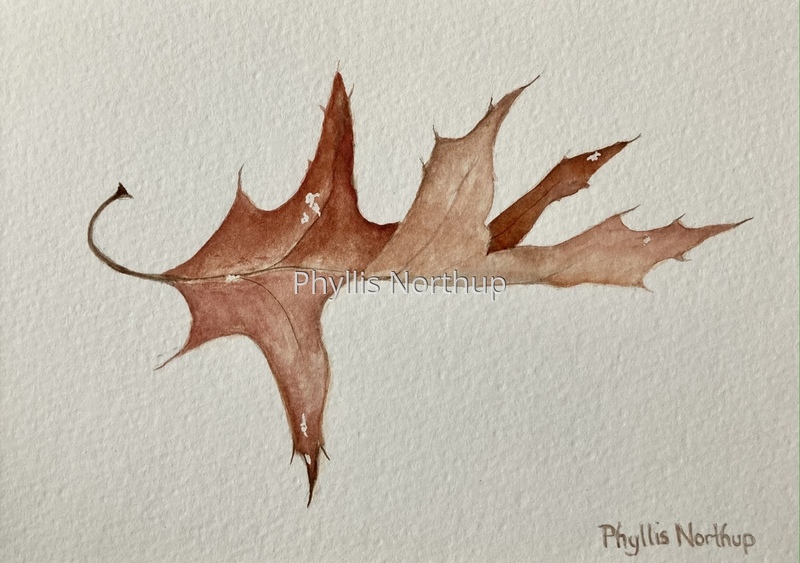 An oak leaf has fallen, partly curled up and lovely in it's muted shades of brown. Do you stop and notice that even after they have fallen, leaves are beautiful? Original watercolor matted and ready for a standard 8x10 frame. This painting will be available at Middle Street Gallery, if you would like to purchase it, please contact me if you can’t get to the gallery.